Hello everyone! It's Tina from The Scrappin Rabbit blog and I have some fun treat/gift boxes to share with you today. 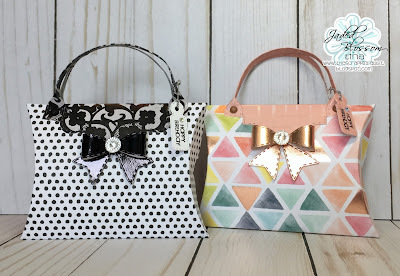 I decorated these pillow boxes with my Jaded Blossom Dies to create a fun purse/handbag! I used the Border Dies to cut out the stitched handles and adhered them with brads. The new Label Shape Dies worked perfectly for the top layering piece. 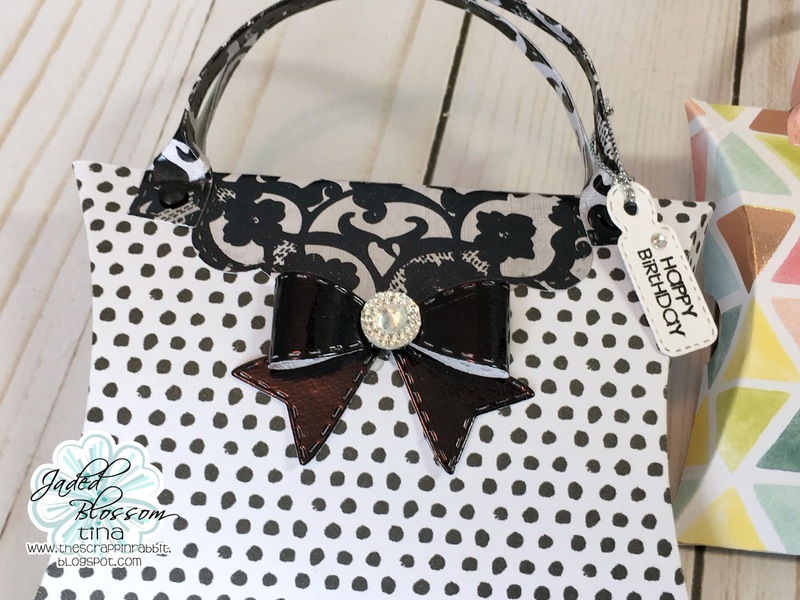 The adorable bow is from the Bow Dies and I added bling to the center. 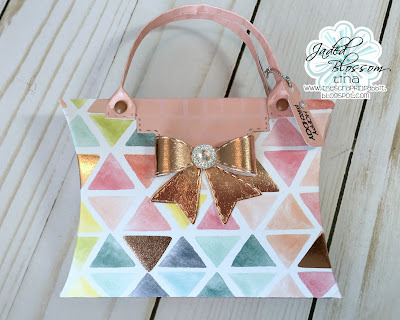 The teeny tag is from the Mini Tag Dies and the tiny sentiment is from the Java Time stamps. Thank for stopping by! I hope you have a wonderful day! Great job!!!! Perfect for many occasions! I love the designer look. This is just too cute .. thank you for sharing such a great project! !